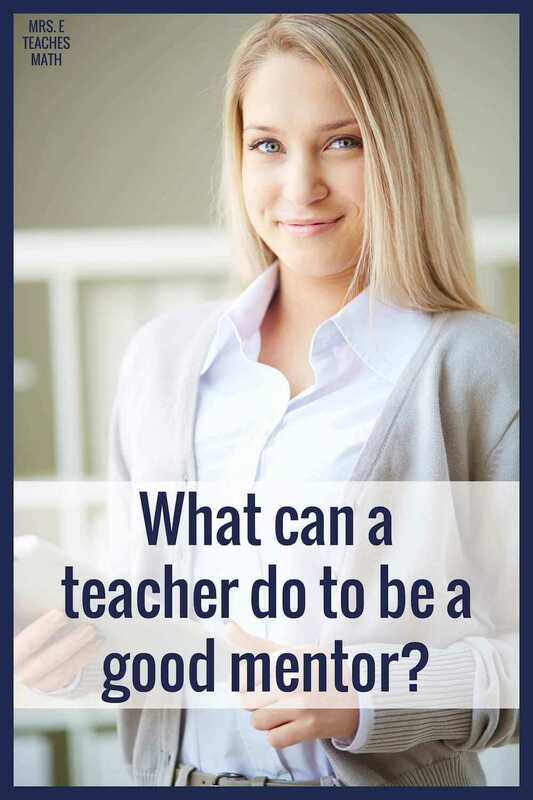 What Can a Teacher Do to be a Good Mentor? When I first started teaching, I had a great mentor teacher. She would quietly listen to me vent, give helpful ideas, and share good news. We were teaching the same prep and she gave me TONS of materials labeled by unit. My first year would have been much rockier if it wasn’t for her. Then, a few years later, I was given the opportunity to be a mentor for another new teacher. I tried to emulate everything my mentor did for me, in order to make her year smoother. After reflecting back over this experience, I asked other teachers for qualities that make a good mentor. You don’t even have to “officially” be a mentor to a new teacher; it is important that we help each other out when we can. Don't bombard them with "stuff"! I know we all want to share, but the last thing a new teacher needs is piles of stuff to go through (no matter how wonderful it is) when they're already overloaded. Instead, ask them specific meaningful questions: "How are you planning on introducing this novel?" Or "Do you have a plan for comparing fossil fuels and alternative fuel sources?" Then you can share specific lessons, ideas, or activities that they can use right away. The best thing my department chair did for me during my first year was invite me to have lunch with her and then listen to my stories. I would bring scones, she would make fruit salad, and she would say nice things about what I was doing. She never tried to tell me what to do or made me feel badly about a problem, she just listened and supported me. I have had far more critical and judgmental department chairs since then, and I think she helped me the most to want to improve and to work hard. A mentor teacher needs to be available to their mentee: set a regular catching up time every week or two. This is important because often times in the busy of the school year, teachers get into their own groove. Mentor teachers need to ask frequently: How are you doing? What do you need? The first question is important because teaching is an emotional job, and the new teacher needs to know that you are there. The second questions is framed, so the new teacher has an opening for whatever it is he or she needs as opposed to responding to Do you need anything? which results in a no. A teacher needs to be supportive of new teachers and help them with ideas but also open to the ideas of the new teacher. I found it very helpful to do a co-plan/co-teach because seeing how it is done is better than just being told. Listen! They need to be able to work through their issues as a new teacher without being told what to do. Of course, we vets should be there to guide and advise but just as with our students, new teachers will come to their own solutions if we give them a chance to talk it out. * Be patient. It is so hard to come in as a newbie especially when everyone else is settled, has their classes up and running, knows everybody else etc. It can be so daunting! Do not expect them to walk in, amaze everyone first day then go home. * Be social. Ask questions, chat with them, find out information about them, a flowing conversation can quickly lead to a friendship! * Introductions and Tour. Introduce them to others around the School, point out different areas of the School - where are resources stored?!?!?! A vital piece of information that everyone needs to know yet people may not realize to pass this information on. * Push not Pushy. Over the course of a School year you will be able to find out so much about the new teacher; what makes them tick, strengths, weakness, what they need to work on yet what areas they could teachers others on! I believe in pushing people out of their comfort zone to achieve something, but don't become over pushy. Push them to achieve the best that they can - don't push them over the edge! * Supportive. EVERYONE has a bad day. You are not working in a proper classroom if you've never had a bad day. It happens to us all, it could be something from your personal life, classroom etc. Be sure to support them, this could be just listening to them rant, chatting with them or a general coffee chat. * Role Model. Make sure you practice what you preach. It is all well and good telling newbie Sally that she HAS to teach phonics everyday yet you teach it once a month... that she HAS to have reports done by Friday, yet you won't do yours for another 3 weeks... fair is fair, be sure to be consistent and show that you are a good role model. This may even mean inviting the newbie to observe one of your lessons so they can get ideas!! * Pairs. Noah wasn't stupid, he put 2 of every animal on that Ark for a reason. 2 heads are better than one (of course he also needed 2 to breed but never mind let's skip that part) 2 minds, 2 times the ideas do you get me? Alone you can make great lessons, but together? Magic happens. To be a good mentor to new teachers I think you need to be incredibly understanding that they won't know everything and have a lot to learn. So it is best to help them by first focusing on the core skills of a teacher e.g. teaching major curriculum areas, assessment etc before worrying about the details e.g. how they get their students to lay out their books. A good mentor can help a new teacher with zero judgement. Ask a lot of questions to understand why a new teacher made a specific choice. Once you understand the teacher's thinking, then it will be easier to offer helpful advice. This will help the new teacher feel valued and make him or her more receptive to feedback. Also, invite the new teacher to visit your classroom while you are teaching. We can all learn so much by watching someone else, but a new teacher may be too shy to ask. Invite them and then make it easy for them to come by scheduling a time that works for them or helping to get their class covered. Go to them and explain things like bus dismissal, Halloween parties, etc. these are often things that are very stressful to new teachers and are different from building to building. I remember being in tears the first day of school over bus dismissal, my mentor teachers (who were AWESOME by the way) felt so bad! Long story, but don't assume they know! Make sure they do! Be available without smothering the new teacher! It's important that the mentee is aware of the key points that they need to know. Since there is SO much information, I think it's a good idea for the mentor to just go over all the things that has to be done for the first week of school (getting classroom set up, show how to take attendance, setting classroom expectations/rules, establishing routines, etc). This way, they (hopefully) aren't too overwhelmed. Two things: Listen, and help new teachers find answers themselves. Whether they are new to teaching or just new to a particular school district, new teachers have tons of questions and they are often nervous about asking them because they don't want to make a bad impression. By just calmly listening to their concerns and answering their questions as best they can, mentors (official or otherwise) can allay new teachers' uncertainty and help them focus on providing the best classroom instruction possible. I was a CIA coach (curriculum, instruction, and assessment coach) for new ESL teachers in my district for a couple years and the best thing I did, I think, was to have an open door policy: Whenever the new teachers came to my room to talk to me, they could do so right away. I didn't schedule an appointment for some future time--I stopped whatever I was doing and gave my full attention to them. I listened carefully to what they were saying and did my best to help them figure out solutions themselves to problems or issues. And if I didn't know the answer, I was honest and told them so, and said I'd try to find out and would get back to them. I just finished my first year teaching and the best thing my mentor teachers did for me was stop by my classroom before (and sometimes after) school to see how I was doing or if I needed anything. The constant support was AMAZING and I'm so thankful for their kindness. Within the first 5 years of teaching, I had taught at 4 different schools in 3 different states (Explanation: Husband’s job). Each new school system required new teacher orientation. Mentors were often assigned. Advice on how to teach abounded. Frankly though, I struggled most with connecting to the pre-existing community of teachers. To many my name was simply “The New Teacher.” At the secondary level, often we teach in isolation. If you want to be a good mentor to a new teacher, find out where he or she eats lunch. Is it alone in the classroom under the pretense of so-much-work-to-get-done? I’ve been at my current school for 7 years (Hallelujah!). It wasn’t until the end of the 3rd year that I felt comfortable and welcomed in the teacher’s lounge at lunch. 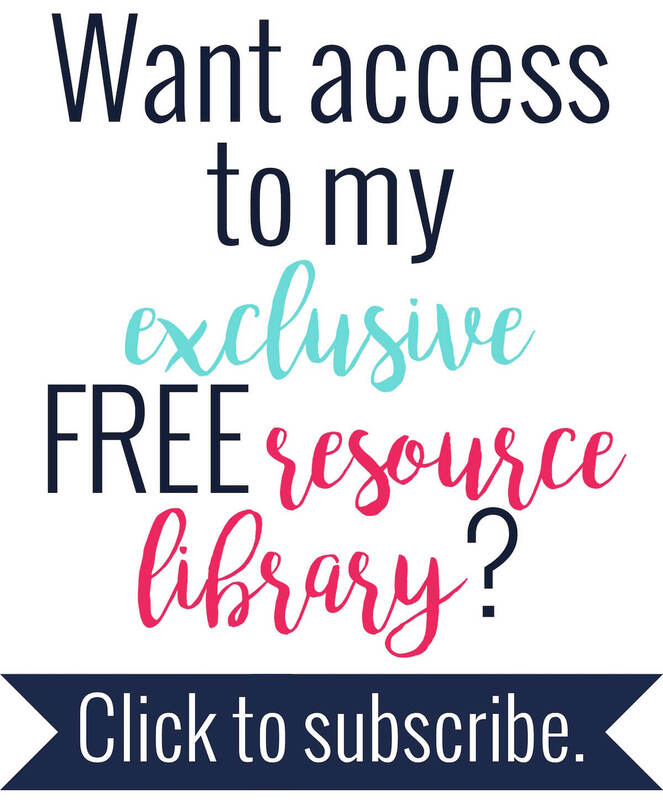 Fast forwarding to the present day, a new friend/new teacher often has said, “I feel like I’m bothering everyone with my questions.” For me, a sense of belonging made seeking out help for areas of most concern relatively painless. I think the best thing veteran teachers can do for new teachers is to reach out to them and foster collaborative relationships. Teaching is such an isolated profession. Many new teachers are very overwhelmed (I'm not new to the field and all of the changes and ambiguity around Common Core have me overwhelmed). It is always nice to have someone lend a helping hand, a smiling face, or just an ear to bend during those first few trying years. For me I would have to say to take them under your wing, give them as much advice as you can to what worked for you and want didn't, and listen to them. Don't act like your their boss, be a friend! New high school teachers can be a little nervous...so give them lots of love. Sandwich your constructive criticism between nuggets of praise. The most successful thing I've found is to role-play. Having trouble making that parent phone call Role-play...I'll be the parent. Having trouble making that student behave? Role-play...I'll be that student. And encourage new teachers to observe other teachers, so they can find their own personal style. One of the things I do is to give new teachers a heads-up on important events: Back to School Night, 5 and 10 week report cards, special bell schedules. Because I’ve been at the school several years, I know to plan these events into my teaching calendar, but for a new teacher they tend to be off their radars and come as a surprise. Then grading for tests, papers, and projects are crammed into marathon sessions to meet the report card deadlines. Not nice. Not fun. And way too much stress. Do you have any other ways teachers can be a good mentor to new teachers? Please share! These are all excellent ideas! Thanks for including mine. If all new teachers had colleagues and mentors who practiced even just some of these recommendations, then their first year in a school would be so much easier, I'm sure.